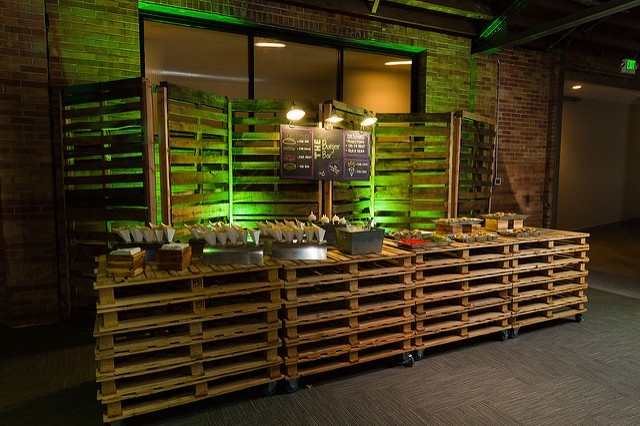 Being a community and environmentally conscious business is important to us here at Lux Catering and Events. We believe it is not enough to just carry on business to make a profit without informed and responsible action as to how we affect the local community and the environment. As such, we have made it some of the fundamental tenets of our business structure to carry out community and environmentally conscious behavior in our day to day business. One way we’ve enacted this is by become a close-working partner and member of P3 Utah. To get a better understanding of what it means to be a member of P3 Utah, check out their latest video featuring a few of our fellow members as well as our very own co-owner, Kelly Lake! LeCroissant is committed to regional cooking and continues to create dramatic menus for our clients focusing on the diverse offerings of our region. We cook from scratch with all-natural ingredients. This means we employ more chefs and bakers because we do things by hand rather than buying prepared or frozen ingredients, and we use organic ingredients whenever possible. We work with an extensive list of purveyors to offer the freshest local ingredients, in fact 40% – 70% of our food is sourced locally (depending on seasonality). 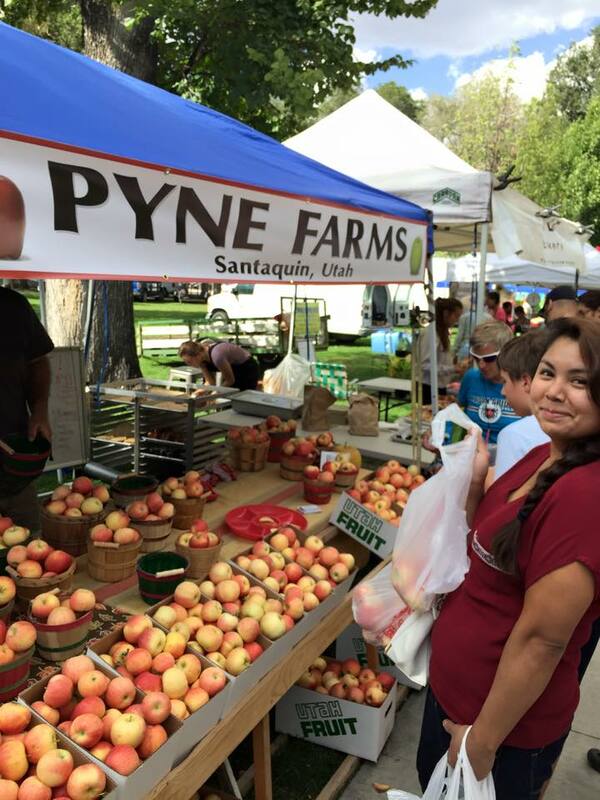 We source many of our ingredients from local farmers and work with like-minded companies that practice sustainability and exercise sustainable thinking. We feel it’s our responsibility to take a close look at our impact on the environment and do our part to protect our planet and the beautiful state that we live in. Our offices are 100% wind powered through the blue sky program, which means all of the electricity we use is offset by wind power energy that we purchase. Lux Catering and Events is one of the first caterers in Utah that has an award winning comprehensive recycling system in place. On average, we have 150 lbs of food waste per day – that’s 27 tons a year! Instead of taking up space in a landfill, these leftovers will be recycled into fertilizers for city parks, and local farms. Over the course of 6 months, we will have recycled enough to fill a dumpster the length of 30 football fields. A variety of items enter our kitchen on a daily basis, but only 4 things end up in a landfill: plastic wrap, tape, gloves and solid items that accompany food, such as aluminum foil. The rest is recycled or composted! We are always looking for new and creative ideas to bring to our clients. Bringing what’s new and trendy while still maintaining our focus on the environment can be a challenge. We love recycling what’s old making it into what’s new and trendy. Upcycling event décor has become a passion for our design team. We also offer several lines of biodegradable disposable-ware, one made from corn starch, and one from sustainably harvested palm fronds. 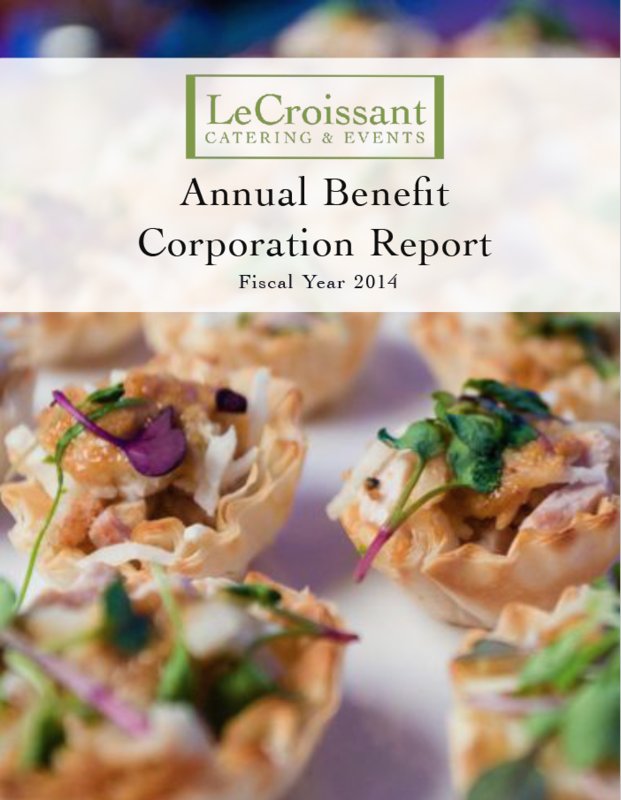 To find out how Lux Catering and Events further promotes environmentally and community conscious business decisions, take a look at our 2014 Fiscal Year Benefit Corporation Report. All in all we are committed to a better, cleaner world for all of us!